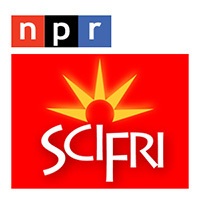 Science Friday is a weekly science talk show, broadcast live over public radio stations nationwide. Each week, the show focuses on science topics that are in the news and try to bring an educated, balanced discussion to bear on the scientific issues at hand. Panels of expert guests join Science Friday’s host, Ira Flatow, a veteran science journalist, to discuss science – and to take questions from listeners during the call-in portion of the program.